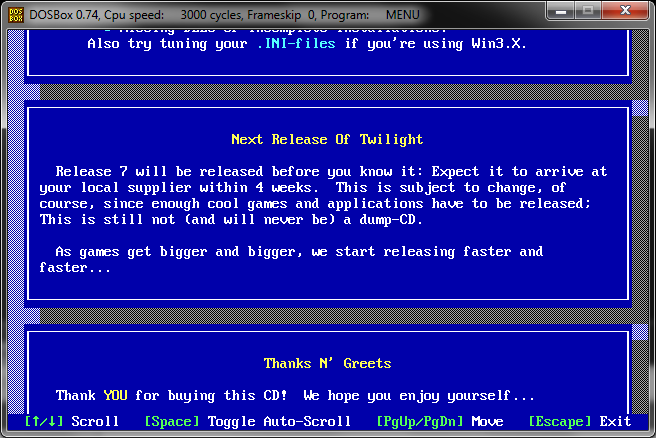 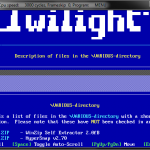 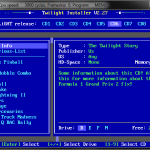 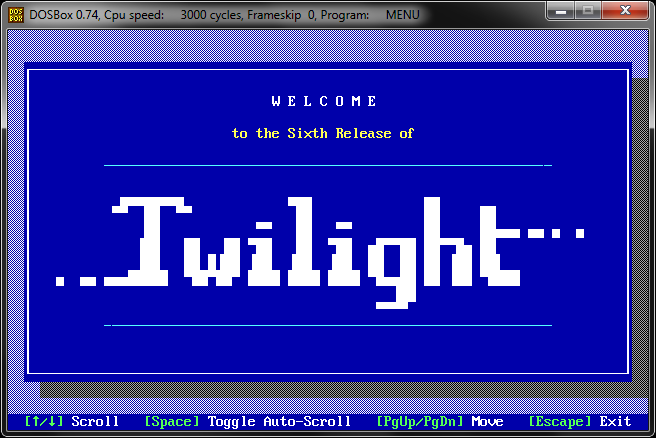 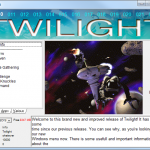 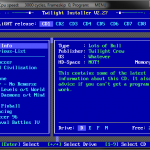 The Twilight menu allows easy access to the software on the disc. 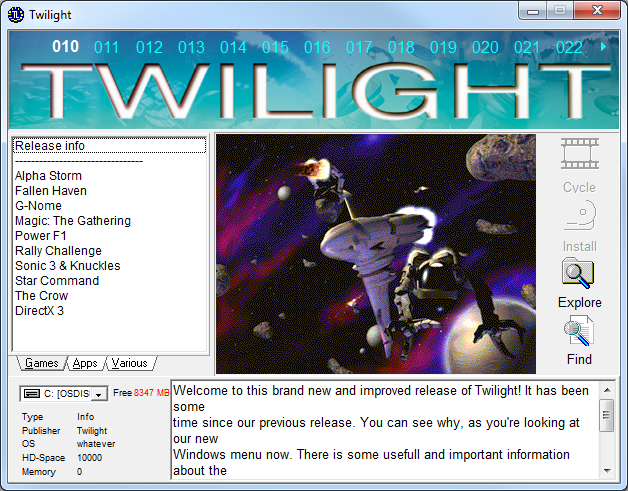 There have been various incarnations of the menu, of which a selection is available on this page. 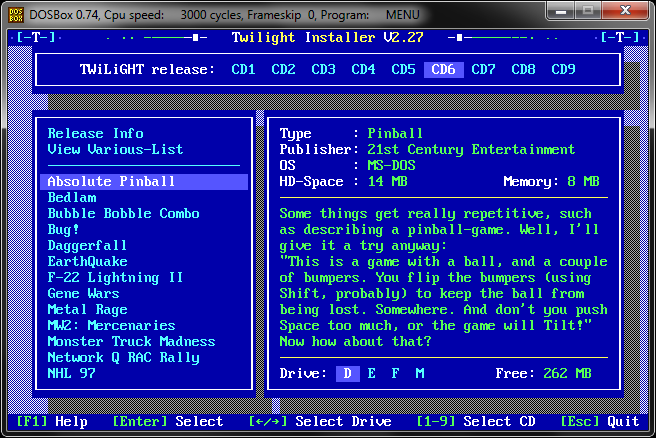 If you want to get things done on a modern machine, just get menu 009 for dosbox and 089 for windows. Available on releases 1 to 9. 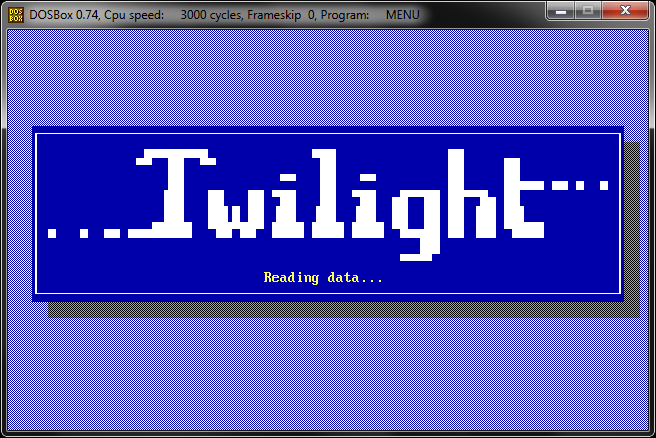 Works with Windows 3.11 and Dos. 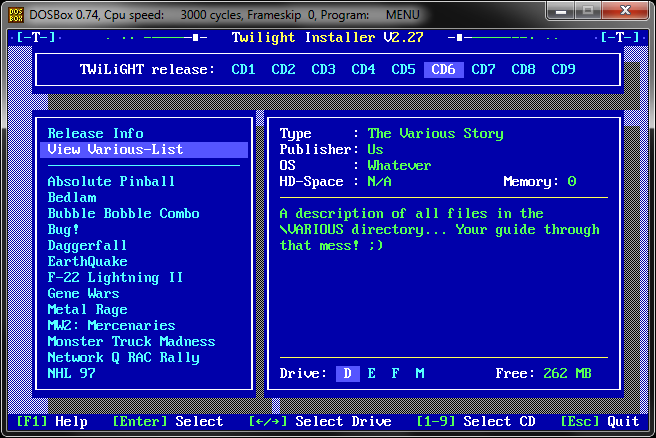 You can use the DOS menu in DOSBOX. 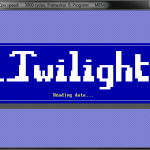 Smooth scrolling and nice artwork. 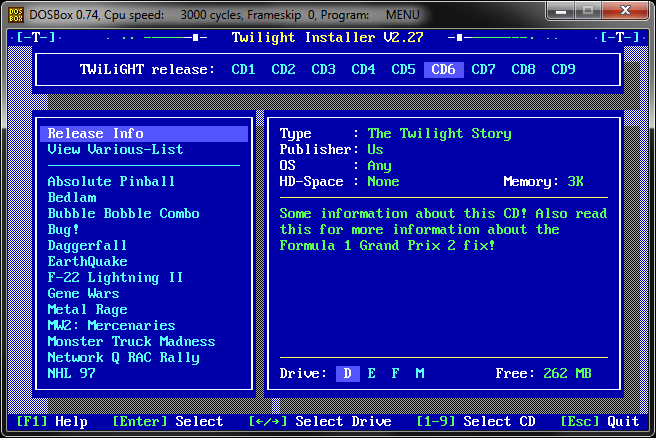 Twilight-cd.com menu 009 cd download. 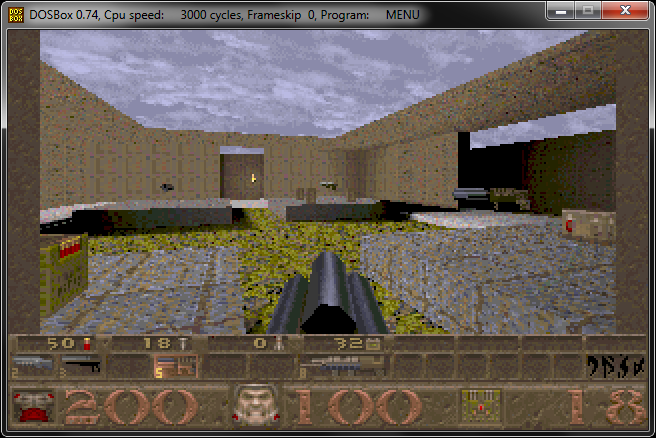 Has the DRuNK mode easter egg. 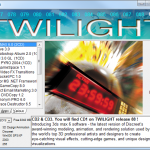 Twilight-cd.com menu 001 cd download. 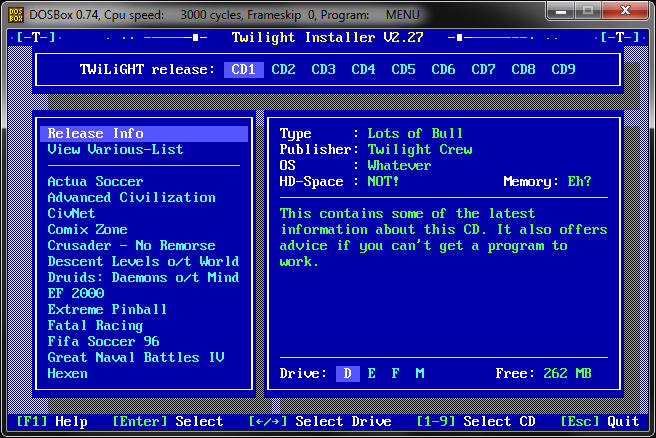 An updated version of the menu made for Windows 95. 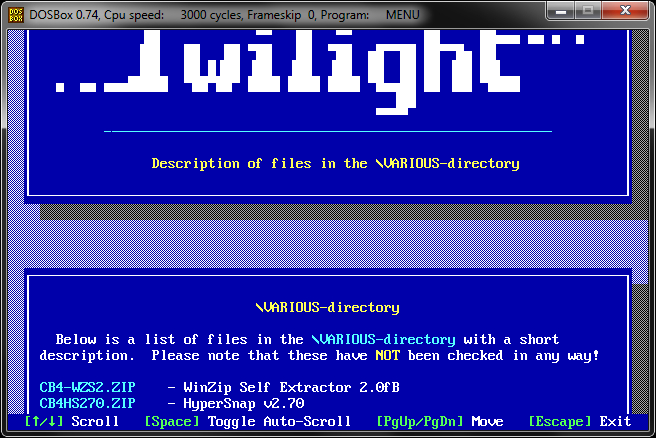 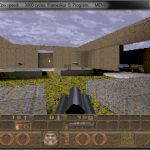 It offers the same features as the DOS menu but works with 32 bit systems. 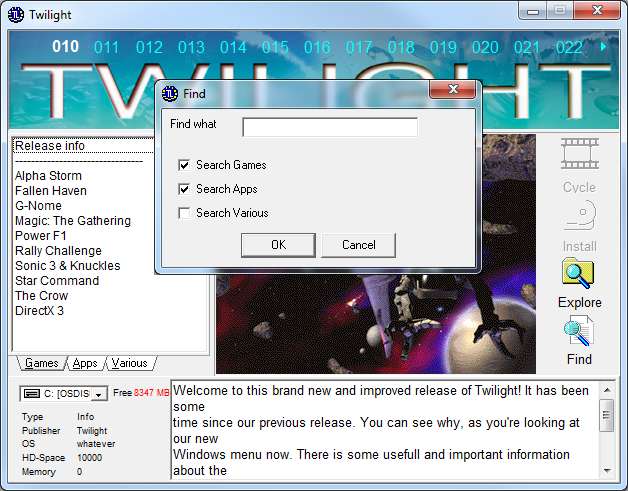 It also offers some extra graphics and easier access to screenshots. 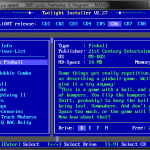 These menu’s work (mostly) with Window 95 and up. 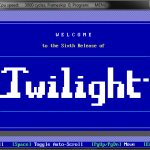 For modern (today) operating systems, use menu 89 since new menu’s also allow installations available on previous releases. 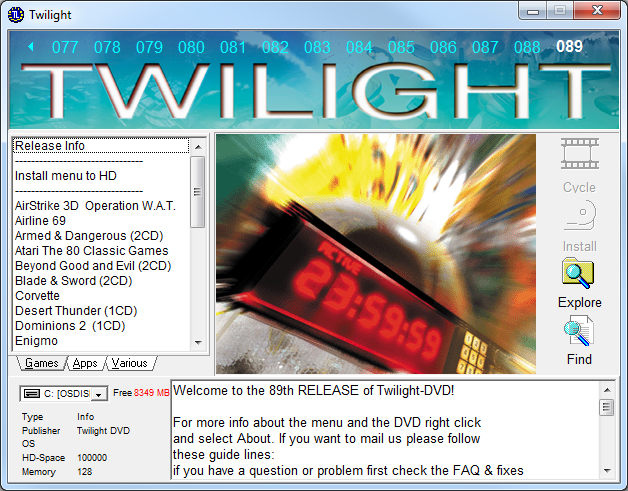 The download for menu95 for cd 35 and 42, dvd48 and TLScript, and more utility from http://web.tiscali.it/tlzone/. 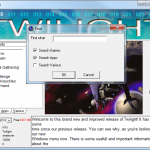 Leave a Reply to Ugur Click here to cancel reply.